Tattoos in the Word of God? Negative: Don’t Mark Yourself for NOTHING that’s Dead! No expressions on your body for the dead. The issue is ancesor-worship, or idolatry. So if someone can die. You should not cut or mark their name or anything having to do with a human that can die on you body. Why? Because Yahweh is God, the eternal creator that cannot die. You should not worship or express permanent reverence for any name except God’s, whether it be your mom, girlfriend, leader, homie, Tupac, Biggie, etc. Positive: My People will Love me so much, they’ll Tattoo my Name on them! 5One will say, I am the Lord’s; and another will call himself by the name of Jacob; and another will write [even brand or tattoo] upon his hand, I am the Lord’s, and surname himself by the [honorable] name of Israel. This is speaking about Israel in the last days, when the people start to believe in Yahweh and our Messiah Yeshua on a large scale. Jews will start re-identifying themselves with God. They will be saved and get excited about God again (Romans 9:27, 11:26). They will say “I am the Lord’s, and even tattoo “I am owned by Yahweh” on their body with their hands. 16Behold, I have indelibly imprinted (tattooed a picture of) you on the palm of each of My hands; [O Zion] your walls are continually before Me. God promises He will love and not forget His people and His City. One way He illustrates this is by sharing that He has a tattoo of Zion on his hand. 12: Him that overcometh will I (JESUS) make a pillar in the temple of my God, and he shall go no more out: and I will write upon him the name of my God, and the name of the city of my God, which is new Jerusalem, which cometh down out of heaven from my God: and I will write upon him my new name. This is a promise for Overcoming Believers with Patience. When Jesus Christ comes back to destroy & rebuild the earth, they will be rewarded with an extra level of intimacy and closeness with God, which includes a ‘tattoo’ of Gods name and Jesus’s exclusive brand new name. So you can see that the issue here is not the tattoo, but what the tattoo means… Tattoos represent ownership of the body. They also express devotion. They are self-expressions of what is important to the person’s heart, i.e., statements of worship. The problem with tattoos is that a lot of it is confused self-expression. That fleshly (selfish) self-expression can change into demonic expression very quickly. People used to tattoo flowers and crosses now its skulls and bones representing DEATH. Oh, but doesn’t the New Testament say we can do whatever we want? No: Gal 5:13 Brethren, you have been called unto liberty; only use not liberty as an occasion to the flesh (doing whatever your flesh wants), but by love serve one another. If you look at cultures where there are a lot of tattoos, you will see that they are very demonic-idolatry infested cultures. They are into drugs, sorcery, idol-worship, car & rim worship, fornication, homosexuality, etc… What kind of images do you see in your local tattoo parlor? So do you really want to be involved with that type of culture? A DEATH culture? Also, do you really want to contribute a generous financial donation (tattoos have EXTREMELY high profit margins) to a place that is DEDICATED to spreading demonic ownership images on thousands of humans that God made to be in His image? Can you imagine how offensive that is to God? Do you want to influence people in that direction? Who owns you, demons or God? As a Christian, your body is a temple of the Holy Ghost. 1 Corinthians 6. What it really boils down to is that marks represent ownership. Why does the soon coming Anti-Christ desire to put a mark on everyone? Why is everyone with his mark going to burn in the lake of fire? …Because marks represent ownership! If your tattoo doesn’t express, or mean “I am owned by Yahweh” in some way… Then you willl find yourself on the slippery slope from selfish self-expression into demonic idol worship. Yes you will, whether you think so or not. That is, UNLESS you repent, change your mind, and allow Jesus to lift you up. Jesus is willing and able to lift you up, and the blood of His new covenant can wash our minds and our spirits clean from any impurities that we have, or that we may have had in the past. Jesus is the King of the Universe. Express Him! Tattoos are marks that are used for expression and represent devotion and or ownership. From a 1st commandment perspective: God loves you so why not love Him back? Why express anything less than the glory of God? God wants to tattoo your resurrected body (1 Corinthians 15) with His Name! From a 2nd Commandment perspective: if you love other people why would you choose to influence them in the wrong direction with useless tattoos that express worthless ideas instead of God? 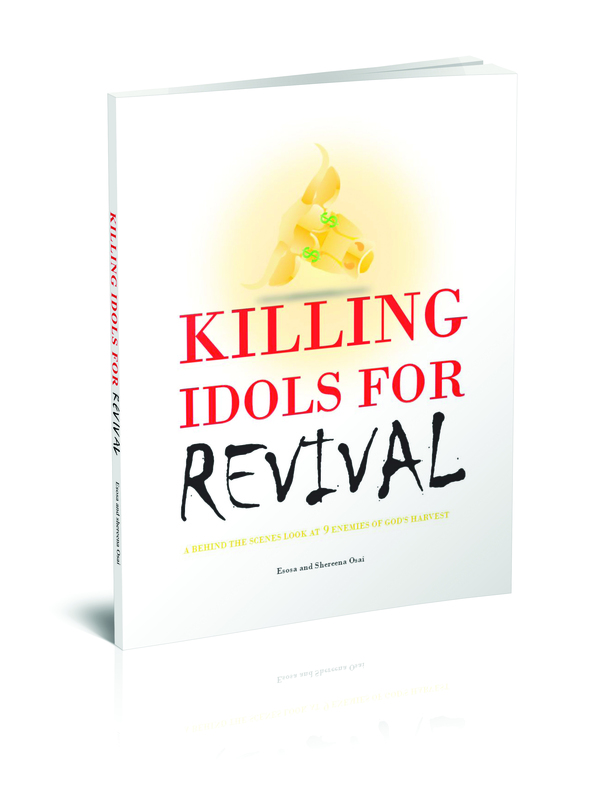 – SoSpression also wrote Killing Idols For REVIVAL – exposing principalities in the culture of America that will FALL before the Return of Christ.